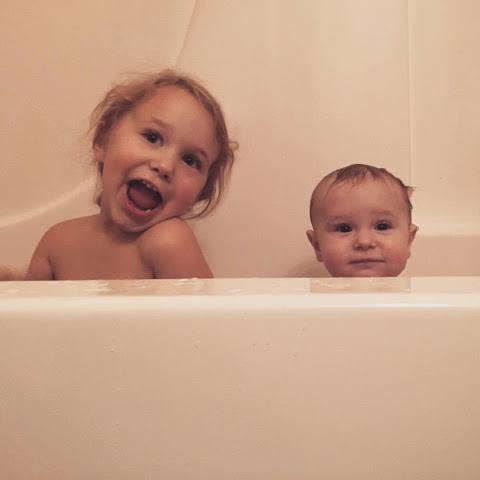 These two cuties were just being cute in the tub. How could I not snap a pic? Adorable!! Love pics of my kids in the bath when they were little!!! Enjoy!